An interesting play in an ever-changing market, LinkedIn has unveiled their plan to acquire Glint, an industry leader in employee-engagement software. Glint has been coming on strong with an interesting and intriguing approach to providing critical insights to companies to help them navigate the complex environment of improving employee engagement. The heart of its technology portfolio is the Glint People Success Platform which provides organizations with important visibility into their employee health quotient and definitive actions for improvement. Glint’s story goes beyond employee engagement. Their offerings can also can be integrated into an organization’s overall talent-development strategy and business-performance metrics. Glint is a very powerful tool to help organizations motivate their teams to be their very best by providing unique insights into what makes them tick. 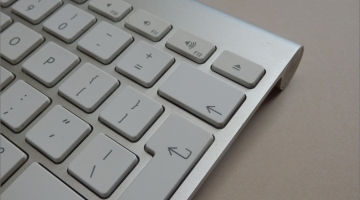 Companies today struggle with their employee-engagement strategies. A lot of money is spent on acquiring, developing and deploying an endless assortment of engagement surveys to employees, only to result in conflicting information and a muddled path toward improving engagement. The real problem is core competency. As a whole, organizations do not have a ready-made staff of survey gurus, data scientists and behavioral experts who can produce the right survey and analyze the results. Conversely, many of the ready-made engagement surveys do not necessarily reflect the evolving culture and landscape of rapidly growing companies, companies in unique verticals or global business settings. The result is a survey that doesn’t really get at the essential information necessary to make a difference in their organization and a lack of analytical support to data-mine properly and in a timely manner. Enter Glint and their technological platform, providing a blended approach of “People Science, Revolutionary Technology and Intuitive Design,” as it states front and center on its website. Glint has plenty of research and data points from its customers baked into its technology, giving organizations a clear path to connecting data to insights, insights to action and action to improved business results. Glint’s AI-for-HR™ technology leverages proprietary algorithms and machine learning to identify key insights for organizations in record-breaking time. Finally, Glint offers a highly engaging industry-leading user interface. The world of HCM analytics, especially human analytics, is a rapidly evolving environment and Glint has committed itself to being a thought and technology leader in that space. LinkedIn, like IBM and other market giants, invested heavily in the talent-development space. These companies are also interested in aggregating and analyzing data. LinkedIn also invested heavily in talent technologies and building a stronger connection to their members by leveraging learning and talent development as an added-value component. The recent offerings by LinkedIn clearly underscore the transformation of the platform from a people-networking company to helping people find new careers and providing opportunities to advance their careers through learning opportunities. Back to the data strategy, LinkedIn today sits on one of the largest human data pools in the world. More importantly, through the efforts of their members, they also have a unique people-profile pool. For many of us, the exceptional insights in a LinkedIn profile rival any resume, with a much greater degree of richness and relevancy — and credibility. The LinkedIn profile also provides a window into what drives an individual personally and professionally, how their peers think of them, the people they identify with (connections) and their career journey. Most companies wish they had the same data and insights provided in LinkedIn in their own employee profiles. This information is a unique fingerprint of what makes an individual tick and that is the business Glint is in. 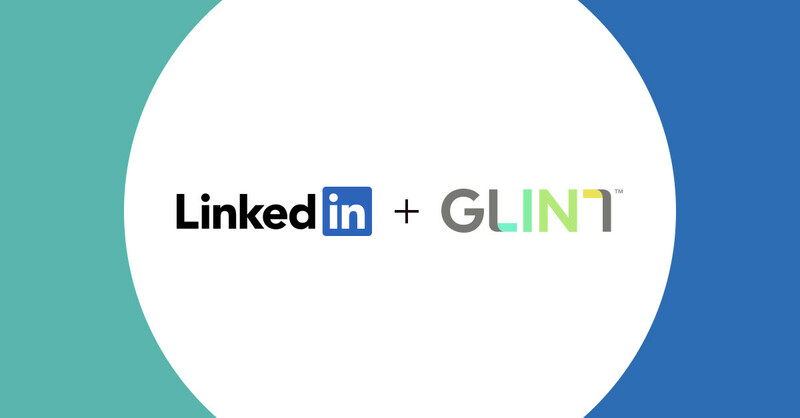 Glint and LinkedIn together can provide AI insights to be used as benchmarks for any organization seeking to improve their employee-engagement and sentiment scores, provide insights to their talent-development strategies and develop a stronger employee value proposition. Both companies are clearly committed to talent development and their aligned visions will provide exceptional opportunities to integrate platforms and launch technological innovations. The combined companies will help organizations retain and develop their people by providing invaluable insights through AI data and analytics. The recruitment needs of an organization could also become part of a new and unique technology roadmap for both organizations. LinkedIn is making some exciting moves in the HCM space. Learning and engagement are now under their roof, so it will be interesting to see if LinkedIn pursues an IBM Talent or SAP/Successfactors strategy and adds other HCM offerings combined with powerful data and analytics through future acquisitions.